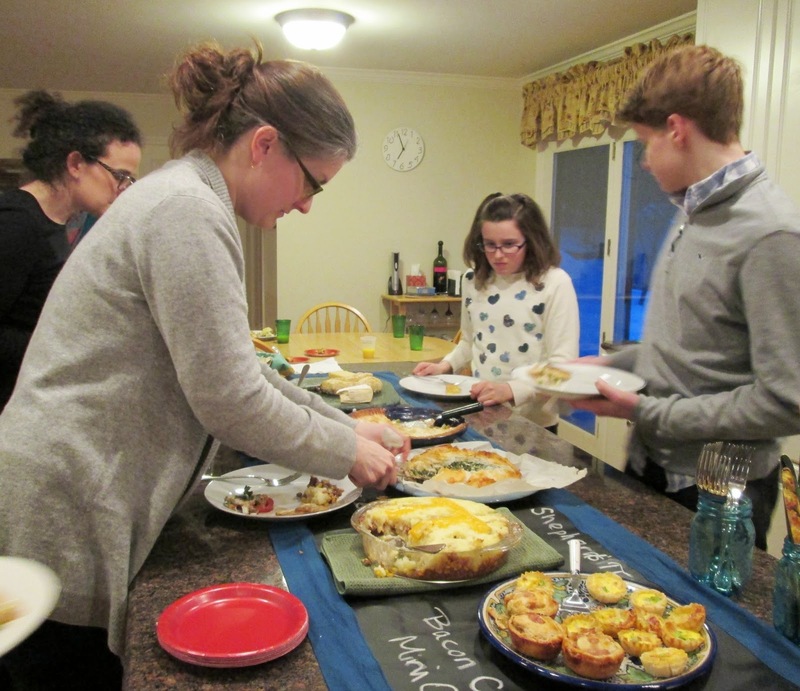 I was worried we were going to be dessert heavy but thanks to Pinterest it actually wasn't too difficult to round up an assortment of savory round treats. In addition to the Baked Brie my husband whipped up these fabulous pork πs to accompany my mini quiches and tomato, mozzarella stacks for appetizers. 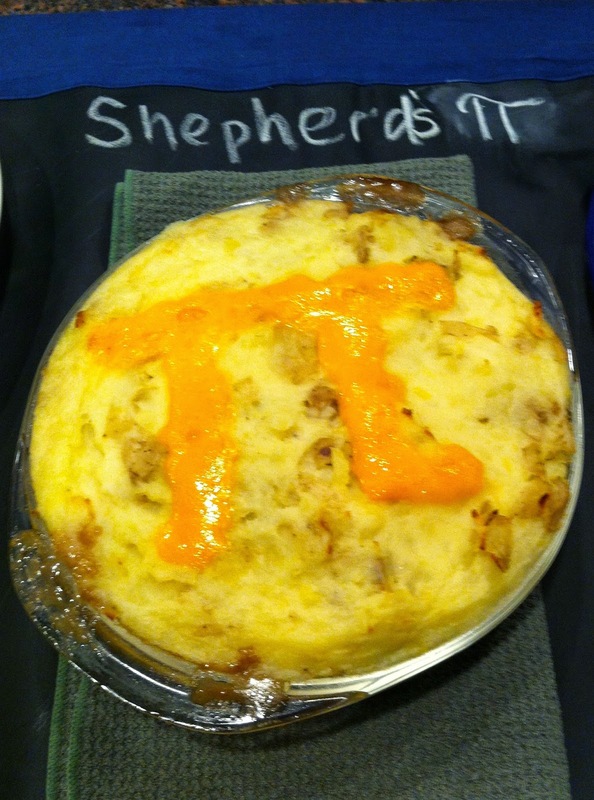 Great minds think alike... friends brought this yummy cheddar topped Shepherd's π with bacon. Which paired nicely with Chicken Potpie and Spanakopita. 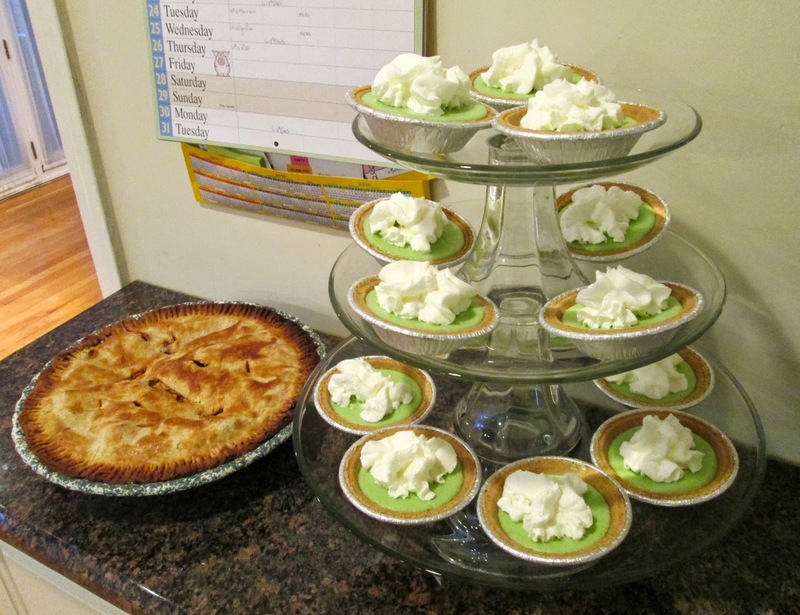 And to wrap things up: Apple π, Cookie Dough π and my favorite, Key Lime π. 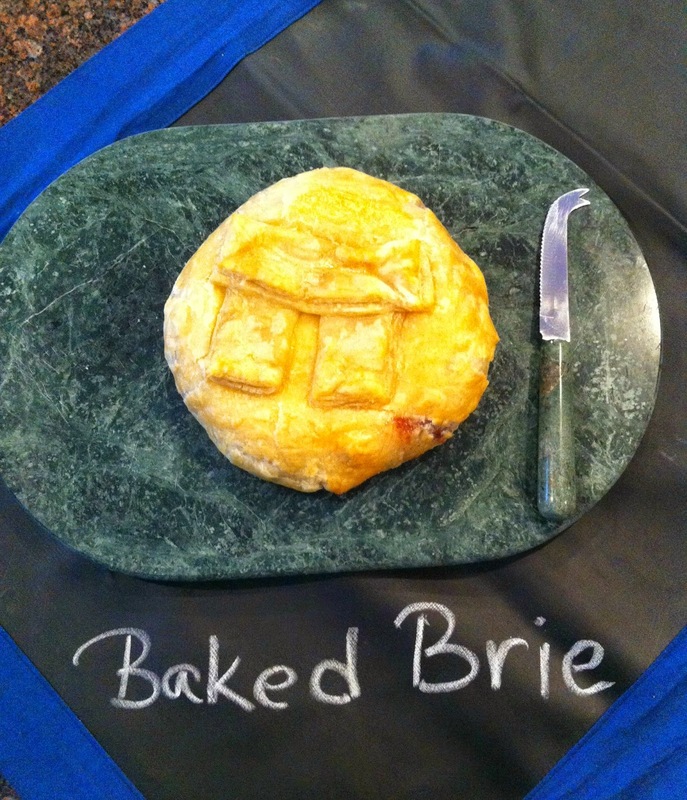 If you decide to host your own π day celebration I suggest making as much in advance as possible. Making 7 different πs in one day was exhausting! 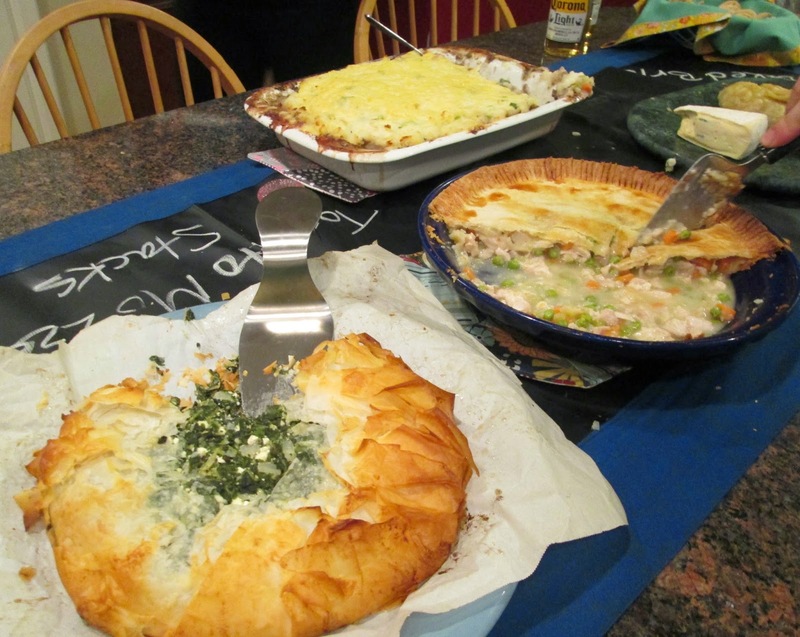 To keep your pie crusts from getting soggy you can prepare all the fillings in advance and then just add them to the crust when you are ready to bake. I relied heavily on store bought crusts but since homemade crust needs at least a day to chill you could easily pre-make those also. What's your favorite pie?